This month PMC President, Paul Paese, will be installed as President of the Rotary Club of Kirkwood, Missouri for the 2018-19 year. 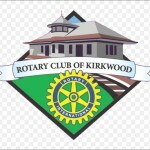 Kirkwood Rotary has an active membership of approximately 80 professionals and business owners, and is engaged in both local and international service. Rotary is a global network of 1.2 million women and men who work, at home and abroad, to promote peace, fight disease, provide clean water, help mothers and children, support education, and grow local economies. Paul will be the 94th President of the Kirkwood club.